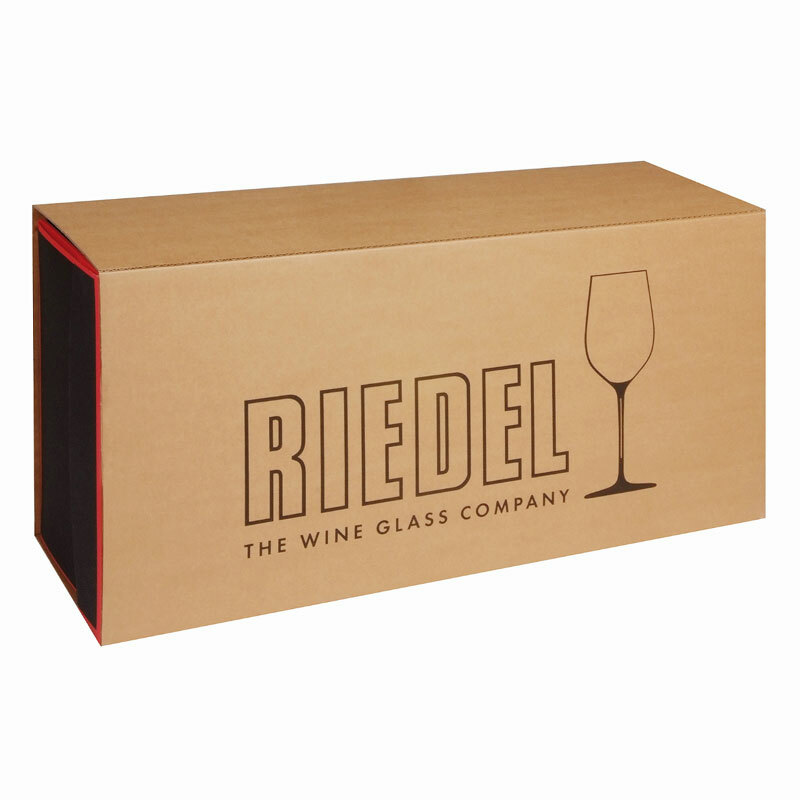 Handmade by only Riedel's top master glassblowers in the finest crystal glass. Famed for their vibrant pink colour and long, stick-like legs, the Flamingo is an immediately recognised bird. Equally distinctive is Riedel’s new Flamingo decanter - though it’s not at all pink. Flamingo has a broad, bulb-shaped base and an exaggerated long and slender neck reminiscent of the legs of the bird for which it was named. 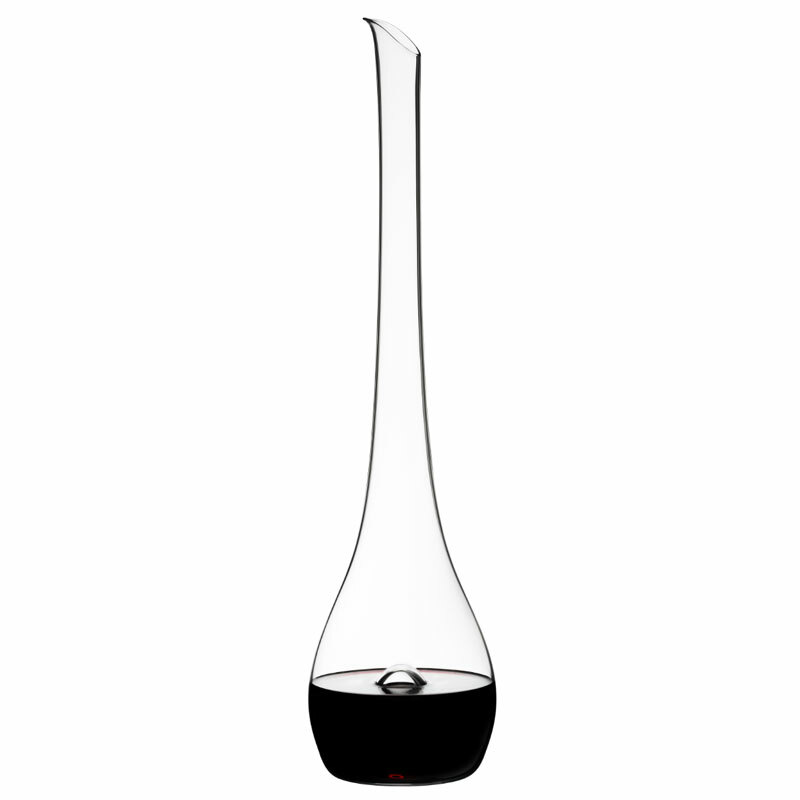 The extended neck has a lip that shears off at an acute angle and both characteristics provide an easier pour. 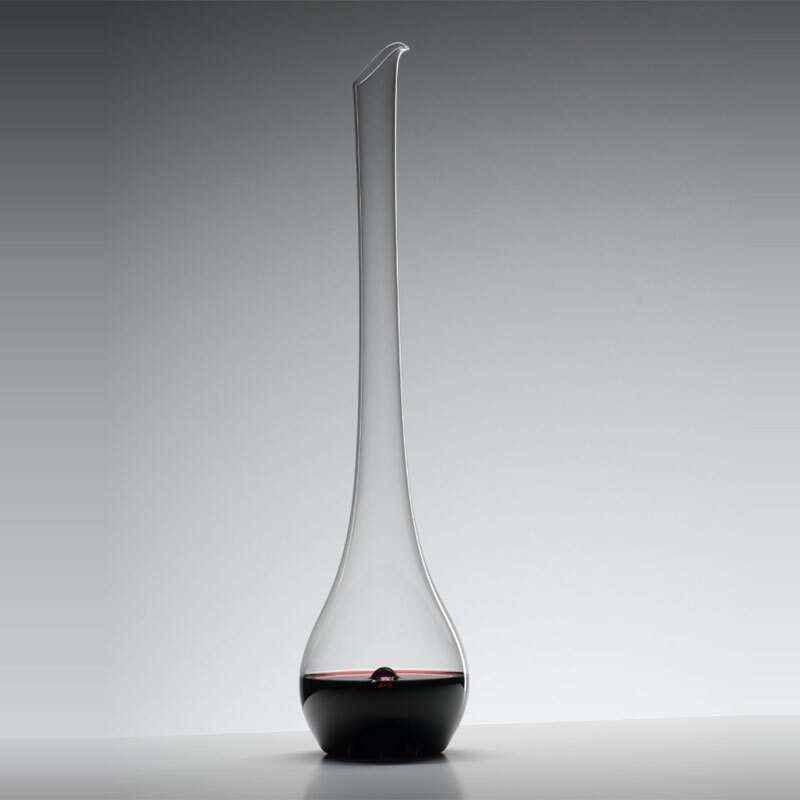 The base thoughtfully features a very deep punt that accommodates the entire thumb, while allowing the remaining fingers to securely cradle the outside of the decanter. 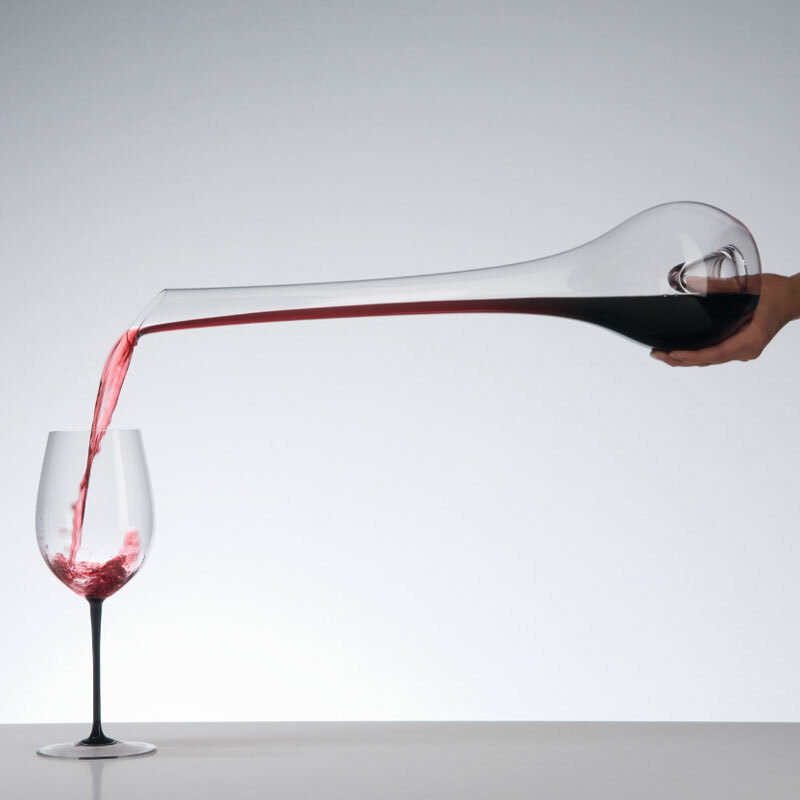 This design provides perfect stability and control when pouring, but also catches sediment and reinforces the strength of the decanter. The Flamingo holds a standard 750ml bottle of wine. And for those who prefer their Flamingoes pink, Riedel suggests a nice bottle of Rose.